Unusually for a main line station Hebden Bridge has been preserved in its Victorian glory and restored to the colours of the Lancashire & Yorkshire Railway. It is an important but often overlooked part of the town's Victorian heritage. 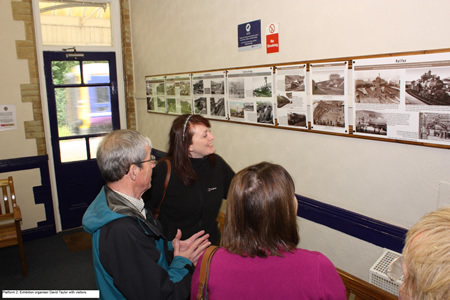 To address this and make the station a place to visit and not just pass through we have used the walls in the two Waiting Rooms to mount a free high-quality themed photographic exhibition on the history of the railway in and around the Upper Calder Valley. There are a large number of images from between 1845 and 1965, all with explanatory text. The exhibition was formally opened by the mayor of Hebden Royd, Councillor Robin Dixon, in May 2010 and was reported here in the Hebden Bridge Times. The poster printed for the exhibition was also produced in postcard format for the exhibition's launch and is available for purchase from the Station Cafe and the town's Information Centre. 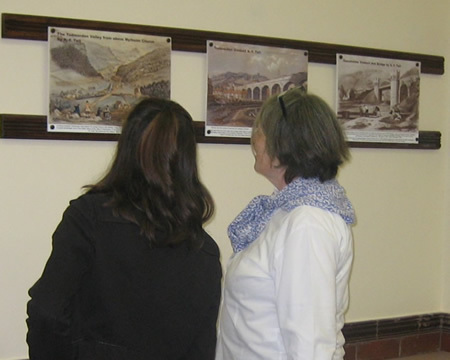 Hebden Royd mayoress, Catherine Groves, and mayor, Robin Dixon, at the official opening of the permanent photographic exhibition on the history of the railway in and around the Upper Calder Valley. The exhibition's organiser, David Taylor, and guests viewing some of the old photos in the Waiting Room on Platform 2 (Leeds). 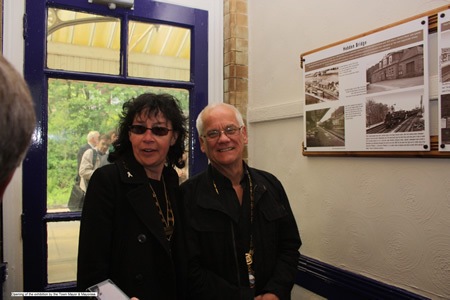 Members of the Friends of Hebden Bridge Station viewing some of the old photos and prints in the Waiting Room on Platform 1 (Manchester). 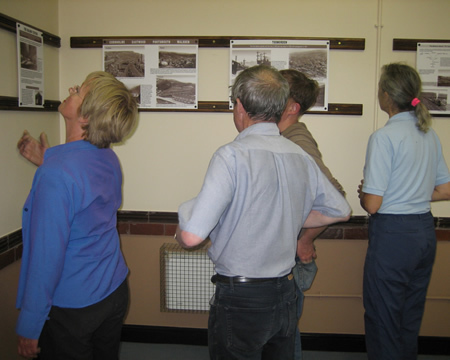 Passengers viewing some of the old prints in the Waiting Room on Platform 1 (Manchester). 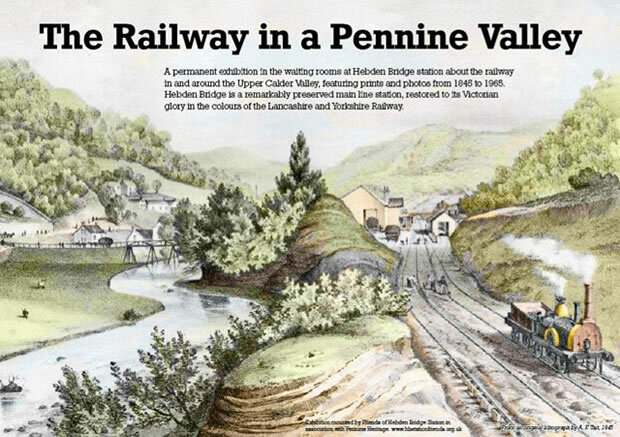 The exhibition has been produced in association with Pennine Heritage with funding from Hebden Royd Town Council and the Calderdale Rural Target Fund and with the assistance of Northern Rail.